At the core of every business, there is a network infrastructure in place to properly route users to various servers to get data, customers to website data, or just anything else in between. There are a lot of moving parts and in order to meet the needs of all the requests of your users, servers, and customers, having a proper network infrastructure is the backbone to any network. 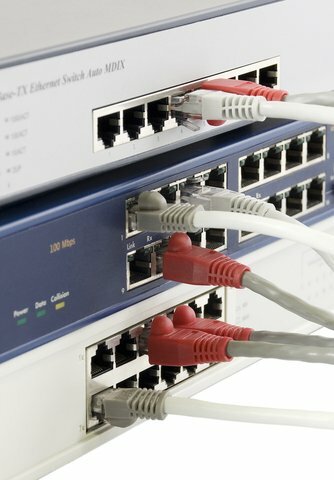 At LegaSystems, we have an expert staff that is trained to assist in the design and implementation of these network infrastructure equipment pieces and could customize these network devices to meet whatever business requirements you may have. 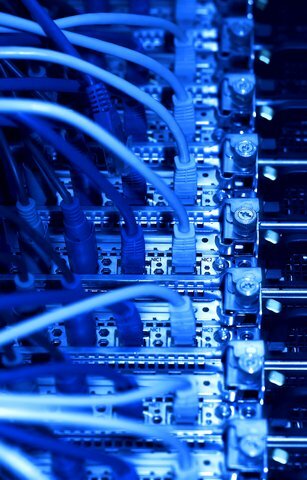 We promise to work closely with you to first identify what the needs of the network are and then design a network infrastructure that not only is safe and secure, but also will meet your needs at the current time and then also plan to see what network needs might be a few years down the line to address any concerns there may be! Another area in your network infrastructure that need to be consider are in the areas of if you have a virtual environment. So what considerations need to be thought about in your virtual network environment? How are your virtual machines protected? Are the virtual networks you created open for anyone to get access to? Could anyone get access to a virtual machine host? Threats in a virtual environment are very similar to your normal core infrastructure, but when it becomes virtualized, things get much more complex with VLANs and other virtual network features that open up gaps in your security that could pose potential problems if someone ever gained unauthorized access to your network. LegaSystems has the experience to help you solve those loopholes in your systems to keep everything safe and secure. No matter how complex your network may be, we could create a solution to meet every need of your network and most importantly keep your business always up and running.